Dinner meeting 3rd Monday of each month 7pm for 7.30pm start. Castle Hill Lions has achieved 47 years of service to the local community. The Club was chartered Nov 5th, 1971, and a charter member is still active in the club. 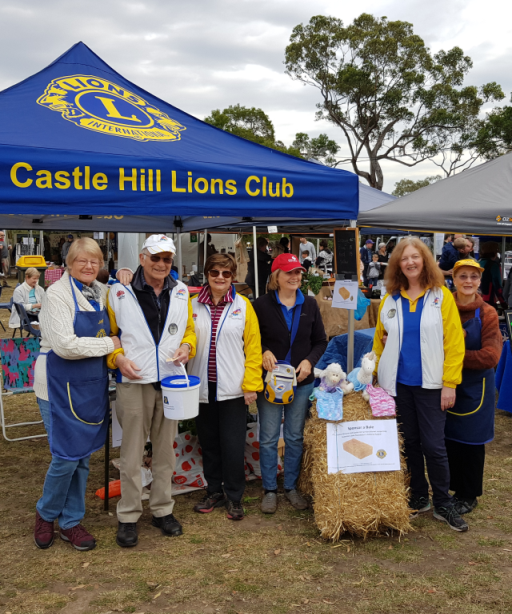 Castle Hill Lions Club is a member of Lions Clubs International, the world’s largest and most active service club organisation of men and women who enjoy working together and making things happen. For more information on Lions in Sydney Australia click here. The motto of every Lions Club is 'We Serve'. Castle Hill Lions takes great pride in helping the sight or hearing impaired, support for the disabled or disadvantaged, giving opportunities to the young or aid to the elderly or raising the funds to make it all possible - Service always comes first for Castle Hill Lions Club and its members. Refer to our “Achievements’ page for the list of donations and assistance provided in the last twelve months. Visitors are always welcome to any meeting. Visitors are invited to contact any Club Officer listed on ‘Contact Us’ page for any details of meetings and Club projects. For information on the Zone 10 Combined Club Dinner refer to the "210-N5 Zone 10 Combined Dinner" page. Lions Clubs are a great way to assist the local community.